Adobe Premiere Rush, the “little brother” to Adobe’s Premiere Pro, is an app for creating and sharing online videos, bringing the power of Adobe’s all-in-one video editing software to YouTube content creators and social media influencers. With its simple interface, Premiere Rush offers basic tools for creating professional-looking videos in a flash. Who Would Use Adobe Premiere Rush? Premiere Rush is designed for people with limited video editing skills, but its tools are anything but amateurish. 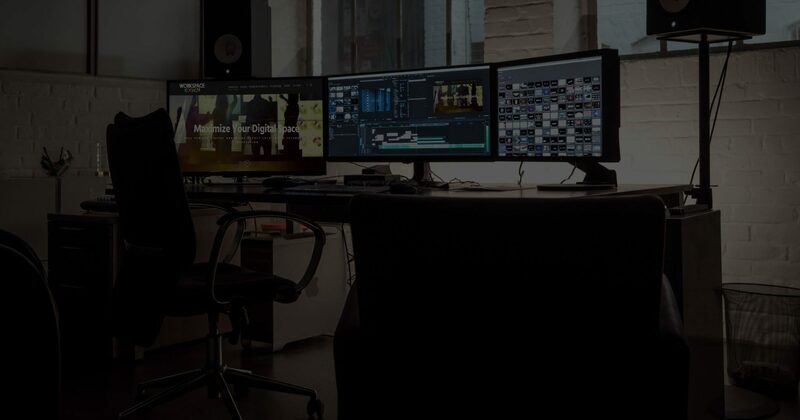 It simplifies the video editing, motion graphics, and audio mixing capabilities of Adobe’s professional software, such as Premiere Pro, AfterEffects, and Audition. It offers a one-click audio mixing feature that automatically adjusts the volume of background music during voice-overs, syncs projects across all devices, and provides specific exporting options specifically tailored for Shapchat, Facebook, Twitter, and Vimeo. The app itself is well-designed and uncluttered. Side panels hide when not in use, the source panel is on the left and effects and adjustment tools are on the right side of the screen. A basic home screen shows large thumbnails of current projects, an easy-to-find “Create a New Project” button, and useful Help links. In addition, hovering the mouse pointer over a control or tool provides a pop-up tool tip, allowing the user to learn new functions on-the-fly. Additionally, standard menu options can be found at the top of the screen, such as File, Edit, Clip Sequences, and View. At the bottom of the screen, Rush provides a timeline of the current project, including play/pause, frame by frame, and point controls. Repositioning and organizing clips is easy with drag-and-drop functions, hide mute, and the ability to lock tracks (common to most nonlinear video editing programs). Color control, important to creating appealing digital movies or social media posts, can be adjusted with Premiere Rush’s eleven style presets customizing exposure, contrast, highlight, shadow, temperature, tint, vibrancy, and saturation. A few advanced special effects are available as well, such as Faded Film, Sharpening, and Vignette. Adobe Premiere Rush is not without its weaknesses. It offers fewer video effects than Adobe’s Pro program, limited transitions, and does not offer storyboard templates, which helps nonprofessional editors structure their videos. It is also lacking features provided in other programs, like PowerDirector, such as green screen, motion tracking, and freeze frame capabilities. Additionally, there are only three transition types available in Premiere Rush – Cross Dissolve, Dip to Black and Dip to White (conversely, PowerDirector and iMovie offer over twenty). Another drawback? Premiere Rush may not be the most cost-effective option. Adobe offers a series of Creative Cloud plans, starting at $9.99 per month for single-users, which is more than the cost of a permanent license for Adobe Premiere Elements ($99.99), PowerDirector ($99.99), Corel VideoStudio ($79.99), Magix Movie Edit Pro ($69.99), or iMovie, which is free on Apple computers. Adobe Premiere Rush is a streamlined, easy-to-use program that will have content creators uploading quality videos in no time. But there’s nothing groundbreaking here. The features are neatly laid out but limited in scope. Cost may be prohibitive for some, and the app provides minimal video effects. However, Premiere Rush makes it easy to share/upload videos to social networks, provides good color and title tools, and its ability to sync across several devices makes it useful for on-the-go projects. As its name implies, “Rush” gets the project done fast with a user-friendly, all-in-one video editing program. Workspace Digital can help your company reach a wider audience. Connect with an expert today to talk about our video production services and more!